An overwhelming majority of Fijians are religious. Reverend James Bhagwan explains how that faith can spur action. 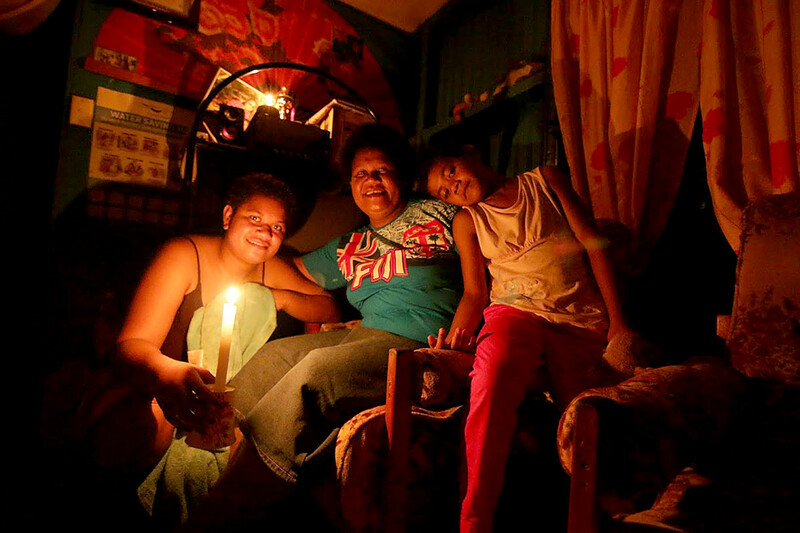 A family weathers the loss of power after Cyclone Winston swept through Fiji in 2016. Reverend James Bhagwan&apos;s office shares a bright yellow edifice with the Methodist Book Store on Suva&apos;s bustling Stewart Street. Inside, the pale concrete walls are more muted, and the modest office might almost feel dreary on this gray November morning, if not for the brightly flowered, exuberantly mismatched curtains that hang over the windows and doors. It has all the trappings of a busy office—cluttered desks, a ringing phone, whiteboards filled with notes—but despite a staff of seven, on the day I visited, it appeared to be underpopulated with actual people. The only person there, a video editor named Isao, told me the pastor had just left for COP23 in Bonn, Germany. This would seem to complicate my plan to interview him. 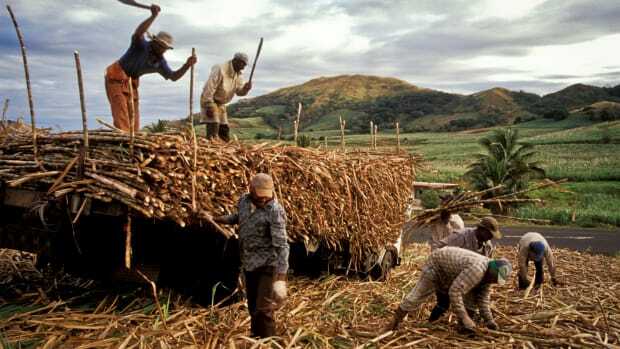 Click here for more on Fijians&apos; everyday climate struggles. Fortunately, he had only made it as far as Nadi, the capital city on the opposite side of Viti Levu where Fiji&apos;s international airport is located, and where Bhagwan was in and out of meetings before his flight to Bonn. Bhagwan, the secretary of communication for the Methodist Church in Fiji, is part of the official delegation for the World Council of Churches, a global ecumenical organization that seeks to unite Christian churches of all denominations. I found myself in the curious position of calling him from a phone in his own office to talk about the church&apos;s role in climate action in the Pacific. While in some parts of the world, climate change might be seen as a secular issue, such is not the case in the Pacific islands. Bhagwan tells me that it shouldn&apos;t be a surprise that the church is a strong voice in the fight to address climate change—nor, he says, is it anything new. Fiji is a deeply spiritual country. 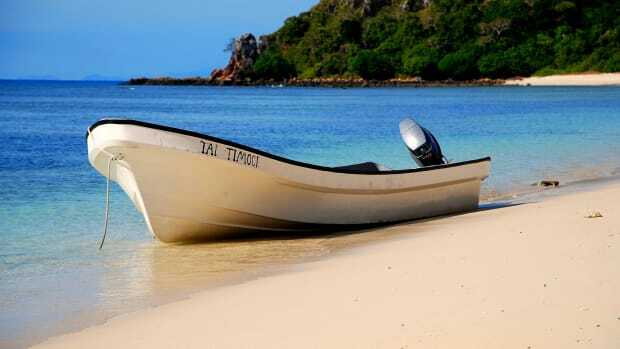 At the last census in 2007, out of a population that then stood at 775,077, a tiny minority of just over 5,100 islanders—just over half a percent—said they didn&apos;t identify with any religion. Even in the urban centers, upwards of 80 percent of people attend services at least once a week, according to a 2016 survey of students at the University of the South Pacific. One of the main roles of the church is to care for its community, to provide food, water, and shelter to those in need—all necessities that are often threatened by climate change. 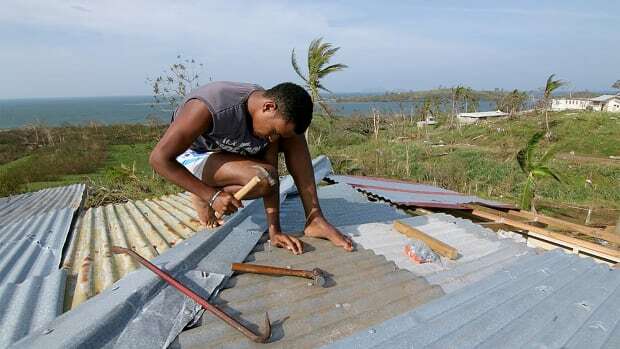 Faith leaders in Fiji and the Pacific more broadly have had a direct view for some time of the catastrophic effects that climate change is having on their communities. "The scientists and the churches were talking about climate change long before it was fashionable," Bhagwan tells me. "The World Council of Churches has been involved since the very first COP." As far back as 2004, the Pacific Conference of Churches met in Kiribati to discuss the effects of climate change on island nations, and produced the Otin Tai declaration, calling on industrialized nations to reduce fossil fuel use, acknowledge responsibility for climate change, and provide more adaptation funding, among other things. But the Methodist Church in particular took on a more active and intentional role on climate in 2014, with the launch of its New Exodus—a revised constitution and code of conduct for the church. "It has 12 pillars, and one is stewardship of creation," Bhagwan says. Now the church isn&apos;t just telling the community to be good stewards of the Earth—it&apos;s also showing them how, through sermons and educational materials in newsletters, and by encouraging members to do practical things like plant mangroves or reduce their individual carbon footprints. The church was also instrumental in shoring up support for Fiji&apos;s recent plastic bag levy. It&apos;s not as though the church is revolutionizing environmental activism; governments and non-governmental organizations all over the world have been encouraging people to plant more trees for years. But islanders are more likely to listen if it&apos;s coming from the church. 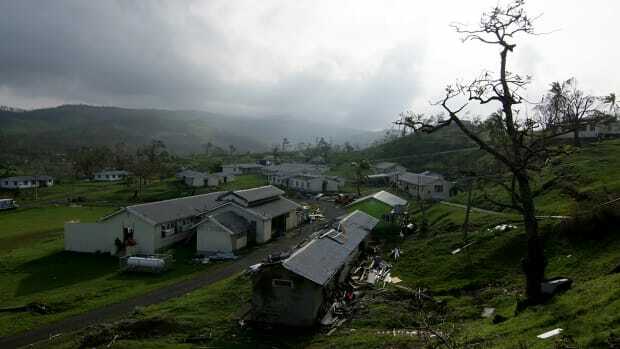 "The Methodist Church is the largest and oldest faith community in Fiji," Bhagwan says. "When the Church speaks, the people do pay attention." But it&apos;s not just about who is talking; it&apos;s also about their framing. "[Non-governmental organizations] and government have their own language," Bhagwan says. (Check out Ted Scheinman&apos;s rundown of United Nations acronyms from COP21 in 2016 to get a sense of what he means). "The people tend to speak in more spiritual language." Of course, there&apos;s also a risk that faith can breed climate skepticism, or at the very least undermine action on climate. 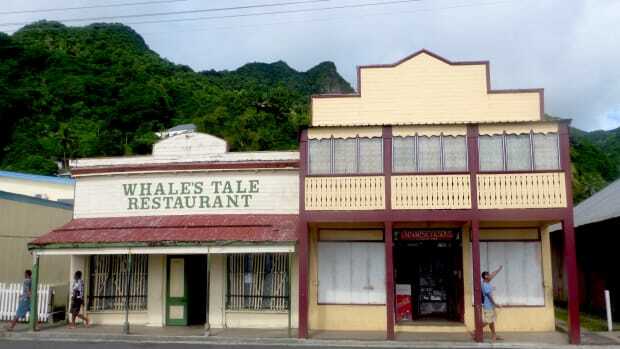 In Levuka, on Fiji&apos;s Ovalau island, where the sea wall crumbled after Cyclone Winston and the ocean laps against the main road along the coast at high tide, a kind old Fijian named Jim Ioane with a frizz of black hair and a sprinkle of gray in his beard tells me that climate change is God&apos;s will. "We&apos;ve got lots of changes—the heat and the rain. To me it&apos;s just like a bible prophecy," he says. "Maybe we are the changers of climate ... but the world wouldn&apos;t change if we believed in God." In other words, he says, it&apos;s human sin that is heating the planet. The church is likely the only institution that can change that perspective. "Without the theological leadership," Bhagwan says, "the people are not mobilized." Fijian farmers talk about climate change amid a severe drought that's gripping much of the island nation. 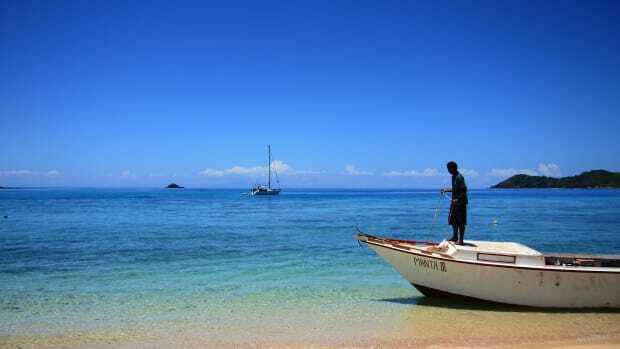 A network of protected and locally managed marine areas that began as a tool to ensure food security could also increase Fiji's resilience in the face of climate change.